I recently had a request from one of my readers for a post about snowy owls, so here it is. These beautiful birds grow up to 70 cm tall with a wingspan of up to 150 cm wide, making them one of the largest species of owl in the world. Females are slightly larger than males. Snowy owls are perfectly camouflaged for their habitat. The males are almost completely white and the females have a few more dark stripes on them. Unlike most owls, snowy owls hunt during the day. They mainly eat lemmings, but also eat other small mammals (up to the size of rabbits), birds (up to the size of geese) and fish. They swallow smaller prey whole and vomit up pellets that contain the bones, fur, feathers and teeth a day later. At breeding time, they lay 3-11 eggs in a nest that they scrape out on the ground. The more prey there is, the more eggs they will lay. Both the male and female help to look after the young and they defend their nest very aggressively. Snowy owls live in treeless plains in the most northern parts of Alaska, Canada, Russia, Scandinavia, Iceland and Greenland. They often migrate further south during winter. They are reasonably common and in no danger of extinction. 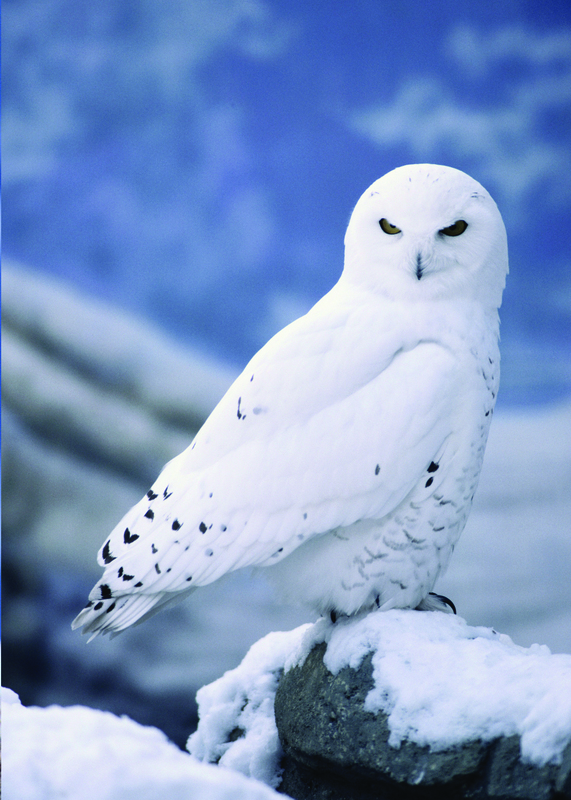 Are there any other interesting facts that you would like to share about snowy owls? thank you i really enjoyed it and i rote the comment.